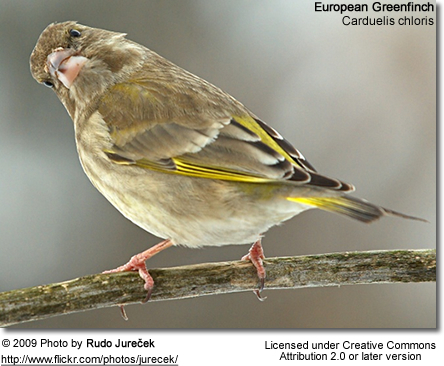 The European Greenfinch, or just Greenfinch, Carduelis chloris, is a small passerine bird in the finch family Fringillidae. 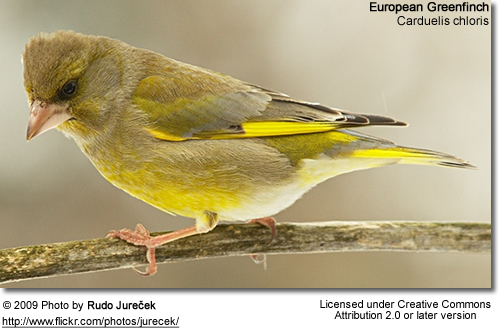 This bird is widespread throughout Europe, north Africa and south west Asia. 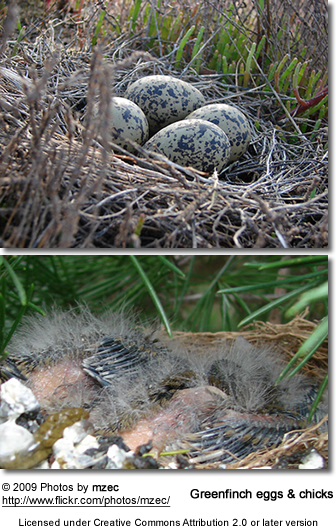 It is mainly resident, but some northernmost populations migrate further south. 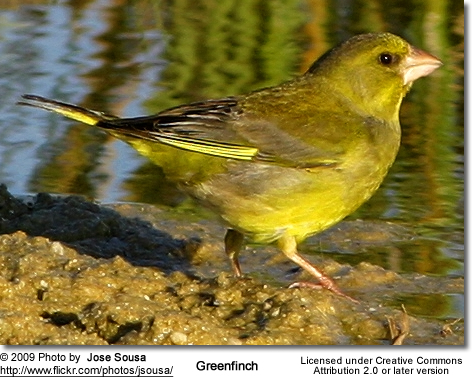 This species can form large flocks outside the breeding season, sometimes mixing with other finches and buntings. 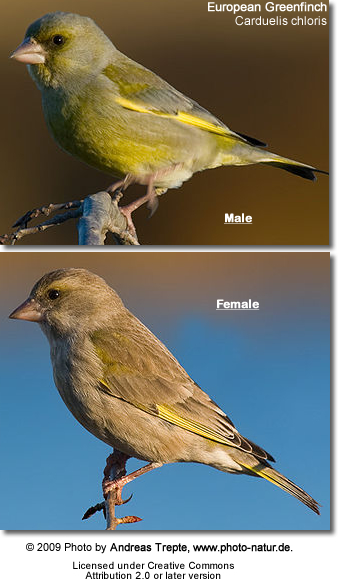 The Greenfinch is 14-16 cm in length and is similar in size and shape to a Chaffinch, but is mainly green, with yellow in the wings and tail. 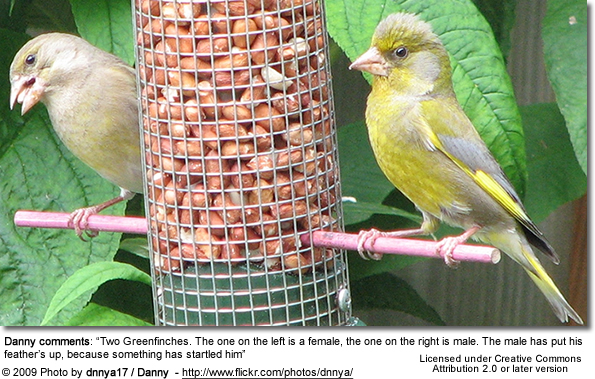 The female and young birds are duller and have brown tones on the back. The bill is thick and conical. The song contains wheezes and twitters, and the male has a "butterfly" display flight. 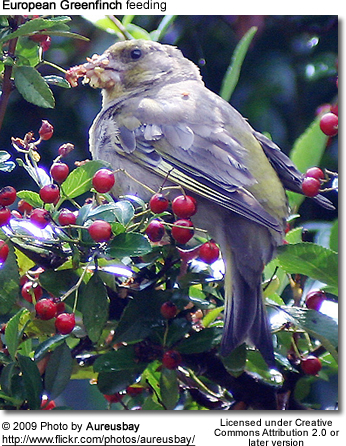 They feed largely on seeds, fruits (berries) and plant matter. They also feed their young insects.